Like what we do!!! Subscribe! IT’S OUR BIRTHDAY WE ARE 1 YEAR OLD!!! Natalie, Courtnay, Jenny, Jessica, and Makeda, your voices have added knowledge and a voices to the forum, and helped all that read your work and I look forward to working with you more in the future. 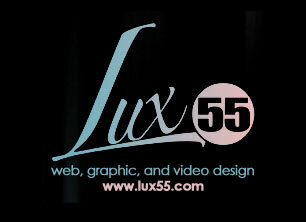 I’d like the thank Christopher Mack of Mack Digital for designing the sight and keeping us up and running!!! To date we have had 58,466 hits and the hits keep coming. I am so happy and proud and look forward to bringing you more in the future!! Would you like to contribute to My Body My Image? Every one has a body story, if you would like to share yours just email your submission to theresaruthhoward@mybodymyimage.com and join the discussion! What bugs you about how the media portrays the female image? What do you think about the fashion industry and the female form? Have you discovered a way to accept appreciate, and respect your body? well share your tool with others! It’s all In Your Words! Heidi Montag: Still an example of Exactly what NOT to DO!!! Montag says she worked out 14 hours a day in order to get in shape for a pool party. Apparently she had put on a considerable amount of weight she had gotten to 130 pounds and is now 103. First of all we know that she is not the sharpest tool in the shed and clearly has body image issues considering that she had 10 plastic surgery procedures all at once just a few years ago which rendered her almost unrecognizable. I mean if her husband Spencer was not glued to her side we would have had no idea it was her! She later admitted that she regretted the surgery. She dropped of the scene for a while and then emerged once on the Tyra Show where she was noticeably fuller. We all know that Heidi one half of Speidi is all about shock so this could be about getting press, but either way it’s ridiculous, unhealthy, and unsustainable. This is exactly what not to do ladies and gents take note!!! Perhaps she should have a sit down with Zooey Deschanel!!! or better yet she could find something better to so with her time, something that might actually help others or better yet help herself…Just sayin! Have you Joined our FaceBook Fan Page? go on and click it! George Lopez may or may not be a fan of Kirstie Alley’s dancing, but he’s made clear his feelings on her body. On “Lopez Tonight” Tuesday night, Lopez reviewed the first episode of the new season of “Dancing with the Stars.” Alley, who has famously struggled with her weight, danced a roundly praised cha-cha performance to Cee Lo Green’s “Forget You.” Without commenting on her technique, Lopez criticized her physique. “She did a nice job, her little hooves tapping away,” Lopez said, comparing Alley to a pig. “Before the show she went to the market, then she had roast beef, and this is her going all the way home,” he continued before cutting to a video of a pig squealing, from a recent Geico commercial. Ok so hold on a minute- he called her a pig. I get it he’s a comic and comics make jokes, but I would have like for him to call her a courageous pig, seeing as though it must have taken more courage than he or anyone else could imagine to put one’s self under such scrutiny. Alley well knows that by doing the show she is opening herself up to comments such as this and even worse, but she’s doing it and that’ s the amazing thing. I have always admired Alley for her honesty, her weight issues have plagued her ever since she kick cocaine, and for her it is what it is, she maintains a sense of humor about it and probably like most overweight people she goes in and out of trying to fight the battle of conquering her body. Right now she is in the fight and moving everyday will have it’s pay off. No worries Kiristie, I say we all vote for her so that she stays on and has a better chance of getting super fit so she can go on the George Lopez show and give him what for!! Could the desire to look better, be hazardous to your health, what is in that stuff that we put around our eyes, on our cheeks and lips? Sodium lauryl sulfate is an effective degreaser used to clean oil stains from the floor of my mechanic’s repair shop; what’s it doing in my toothpaste and my daughter’s bubble bath? And, why is the long-known carcinogen nitrosamine, banned in Canada and the European Union, still a common ingredient in my mascara, concealer, sunless tanning lotion and baby shampoo? The simple answer is that the U.S. Food and Drug Administration still doesn’t bother to regulate anything it dismisses as cosmetics — any products used topically — despite the growing science showing how easily poisons and pollutants can be absorbed through the skin. Since the 1930s, the only thing the FDA regulates is the accuracy of the labeling on cosmetics. As long as manufacturers list in gory detail the witches’ brew of industrial chemicals, heavy metals, and toxic substances they blend into your eye cream or face wash, they are free to dump whatever they want into your epidermis. As consumers, we are left to defend ourselves armed only with unintelligible ingredient labels and confusing news reports about what parts per billion of something can cause cancer or Alzheimer’s. Americans are taking their bodies on a magical mystery tour full of chemicals and heavy metal toxins by way of basic grooming habits. Excerpt: Scientists believe a coping strategy for people with low self-esteem is to degrade other people, which improves how such people see themselves. A new study published in the journal Psychological Science evaluates this premise and suggests that in some cases, low-esteem may be the cause of prejudice. “This is one of the oldest accounts of why people stereotype and have prejudice: It makes us feel better about ourselves,” said Jeffrey Sherman of the University of California, Davis, who wrote the study with Thomas Allen. “If the problem was that people were having trouble inhibiting bias, you might try to train people to exert better control,” he said. But his results suggest that’s not the issue. “The issue is that our mind wanders to more negative aspects of other groups. The way around that is to try and think differently about other people. How Much Do Calories Count? I am a proponent of calorie labeling, because I think having fundamental information is better than not having it — and because I think such information may confer educational value even when it doesn’t directly shift behavior. But that said, I am not at all surprised by the results of this study. I never thought posting calories would have much influence on food selection by kids, or adults. The most fundamental of my reasons is that most of us don’t eat to fill a calorie quota; we eat to feel satisfied. A tally of the calories in a given menu item does not change whether or not that item satisfies you. If it doesn’t, you may have to eat two. A second reason why calorie posting may not matter much is related. If the quality of the foods selected doesn’t change, the easiest way to reduce calories is to reduce portion size. But that simply means… eating less, which sounds a lot like dieting. We know how people tend to feel about that. Yet another issue is that while calories on display may change awareness, and even attitude about food choice (as in: “I’m going to order what I want, but darn- it sure has a lot of calories and I wish it had fewer!”)- it may simply not be enough to change behavior. The fact that calorie posting does not change selections does not necessarily mean it is useless! Maybe it is a necessary, but not sufficient step to get all the way to meaningful change in food choice, diet quality, weight, and health. Maybe it is useful — just not a slam dunk. But since I do have reservations about the utility of calorie counts on display for a variety of reasons, I tend to favor an alternative. An equally efficient, clutter-free display of overall nutritional quality. In fact, using a 1-100 scale, the higher the number, the more nutritious the dish- such a display would require less space on a menu board than calories. And convey a lot more information.